Liquid Remix is a Custom ROM for OnePlus 5. It is based on the latest Android 8.0 Oreo. The ROM is an Old Lead of the well known Liquid Smooth Custom Firmware developed by the Recognised XDA Developers. This new age ROM is built with the combinations of all new best ROMs out today with an added flavour of the old Liquid Smooth. The Developers have done an impressive job by adding an official support in a Telegraph Group. The Official download site is also regularly updated for this Cheeseburger Package. You can Install Liquid Remix 8.0 Oreo Custom Firmware in the OnePlus 5 using our tutorial below. Your phone should have the Bootloader Unlocked, and a custom recovery like TWRP installed from before. We will be covering entire step-by-step instructions for installing this firmware. NOTE: This ROM will not work on an Encrypted Phone! Phone must be Dycrypted! If this is your first time when you are installing a Custom ROM or an Official Firmware, we understand you would want to make sure that everything goes smooth. So before actually performing anything on your device, make sure to backup all your Data, Files, Contacts, WhatsApp chats and SMS. We will be playing a clean flash; your entire data will be wiped clean — like a brand new phone. Remember: All the custom ROMs, Official Firmware, How-to guides, tutorials, roots, hacks, and tricks mentioned on our site belong to the respective developers. We are not responsible if anything goes wrong with your device. Perform it at your own risk. NOTE: This OS is only for OnePlus 5. Please do not try with any other variant of OnePlus phones. Like this Liquid Remix? We love it too, and we know you are looking forward to installing it on your device. Make sure you have correctly installed OnePlus 5 USB Driver on your computer. If not, please download from any official source and install it correctly. Otherwise, your computer will not detect your device. We have mentioned full step by step instructions on how to install Liquid Remix 8.0 Oreo ROM on OnePlus 5. If you are entirely new for flashing a Custom ROM or an Official Firmware, please read the entire tutorial once before actually performing it on your device. Step 1: Download the latest Liquid Remix 8.0 Custom ROM and GApps for OnePlus 5 on your computer. Hurray! 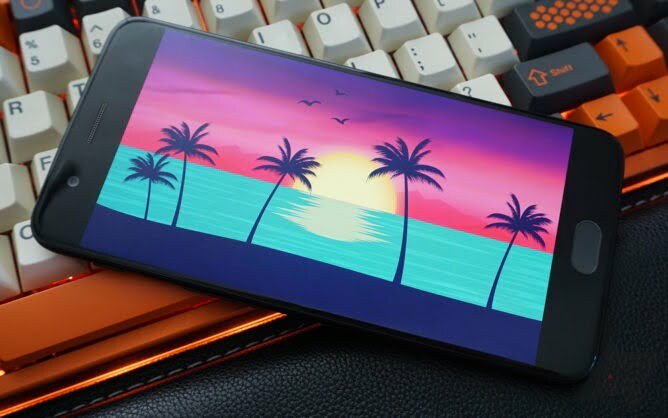 Your OnePlus 5 should now have Liquid Remix 8.0 Oreo Custom Firmware. Go to Settings > About phone to verify.